Ever since I began travelling way back in 2009 I’ve been looking for a camera that is small: lightweight and easily portable with all the awesome features and image quality of a bigger DSLR. For the past 3 years I’ve been shooting on a Canon 70D and I’ve loved it. I’m not a professional photographer, I barely even take my camera out of auto, but I’m always really pleased with the photos I capture on the Canon 70D. The only problem is that the camera is a chunk. It’s heavy and it’s bulky and I barely ever take it out with me because it weighs me down so much. I always take it to places where I know there’ll be beautiful scenery and epic photo opportunities but I never take it with me during a morning walk or an impromptu afternoon out. This means I’m missing out on photographing so many moments, quite simply because I can’t be bothered taking my camera out with me. It sounds lazy but I know I’m not the only one in this situation – especially among the mamas who already have 101 things to lug around with them! A couple of weeks ago I was sent the Lumix G80 to review and this little camera is an absolute game changer. Seriously, I’m absolutely in love with it. 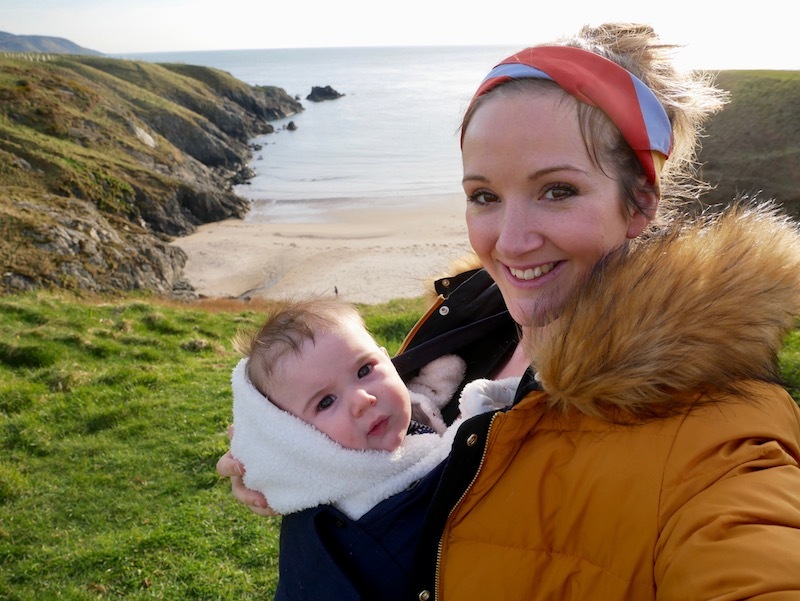 Did you see my post yesterday from my weekend in Aberdaron? All those photos were taken using the Lumix G80 and I’m really pleased with them. They were all taken with the camera on auto (so no clever photography skills around here!) and the majority of them were taken while I was holding Joseph too! Anyone who has tried to take a photo while holding a 5 month old baby will know what a challenge this is! I’m not going to give you a full on ‘photographer style review’ because I’m not a pro photographer and there are a lot of features on this camera I don’t know how to use myself. If you’re looking for a really in depth review then I suggest heading over to Amazon US for more details about the specs of the camera. There aren’t many reviews on Amazon UK yet so take a look at the US site – the Lumix G80 is called the Lumix G85 in the US. I’m not sure why? So instead I’m going to give you a simple review and tell you the 8 main things I love about this camera. Hopefully this will be easy to follow for my fellow hobby photographers who love capturing moments but might not understand all the techy language surrounding cameras. They say ‘the best camera you can use is the one in your pocket’ and I couldn’t agree more. What this phrase basically means is that there’s no point in having the best or most expensive camera on the market if you’re not going to take it out with you. Like I said in my intro about my Canon 70D, I love this camera but it’s just too heavy so I don’t take it anywhere with me. But the Lumix G80 is small and light enough to pop it into my bag and take it everywhere with me. It’s weighs 1.11lb so it’s not so light that you’re going to forget it’s there but it’s certainly not a burden to carry around with you. The Lumix cameras are all about capturing unmissable moments – but this isn’t just marketing spiel, this camera really does help with that. After all, you can’t capture unmissable moments if your camera is safely stored away at home. Another benefit of it being lightweight is that it’s great for taking selfies (don’t judge!) Most decent cameras I’ve used in the past have been too heavy to hold at arm’s length and take a selfie but this little camera is perfect. You can hold it in one hand and press the button and it’s not so heavy you need to have a rest between each picture! No out of focus shots! The Lumix G80 has a Dual Image Stabiliser (no, I don’t know what that means either) but when using the camera you REALLY notice it. Each shot is clear and crisp and in focus. With my old camera I’d always have a handful of photos that weren’t perfectly in focus and if I asked someone else to take a photo of me it would almost always be out of focus or just not quite right, but you don’t get this with the Lumix G80. Hoorah! I LOVE this setting. Basically, you take a photo and the camera focuses on everything so every aspect of the picture is perfectly crisp. And then later on you can go into the photo and select what you’d like to be in focus. You can bring something specific to the forefront of the picture and blur everything around it. It’s so easy to do too as you simply do it by touching the screen to select what you want in focus. The 4k photo setting is something I don’t use very often but when I do the photos are amazing. It’s best for action shots, capturing movement or taking photos of pets and children who won’t sit still! To use the 4k photo function you make a short video which shoots at 30 frames per second – which is 30 photos in a second! You then view the video on the camera and it breaks it down into all those individual photos and you select the photo(s) you want. The camera then stores it like a normal photo so you don’t need to faff with post production on your laptop. If you’ve ever taken a photo and just missed that perfect moment then you’ll love this function. Here’s a really awkward video I made about capturing photos using 4k photography. Look how little George is in this video! You can easily put the camera into Time Lapse mode and set it to take photos at your chosen intervals. This is a great function to get time lapses of things like sunrises and sunsets but it’s also really good to get photos with yourself in them! If you’re anything like me and generally look a bit awkward on camera then this setting is for you! You can just set your camera up to take a photo every couple of seconds. Then casually walk, stroll or pose in front of the camera and it will keep shooting. It’s like having an automated Instagram husband! And they’re all going to be in focus too! OK, this is a bonus thing that I like. It’s not exactly a feature that would convince you to buy the camera but it’s definitely an added bonus that makes the Lumix G80 a joy to use. 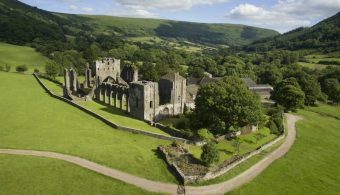 When you’re taking a photo the image automatically shows up on the screen – but if you find you need to use the viewfinder (such as if the sun is shining on your screen or if you find it easier to frame the shot) then you lift the camera to you eye and it automatically switches to the viewfinder. This feature doesn’t sound that awesome when I write it down but it’s just little thing like this that make the camera so user friendly. This feature is particularly good when you’re asking people to take your photo. If they’re not familiar with using cameras with viewfinders then they probably won’t want to use it and will be more comfortable with using the screen to set up a shot. The Lumix G80 has built in wifi so, using the Panasonic Image App, you can easily connect your camera to your phone and transfer images. But – more importantly – this process is really easy. I’ve used the Canon image transfer app a lot and often found it to be buggy and difficult to use but this one is really easy. You can also use your phone to remotely control the camera so you could set your camera up somewhere and take pictures using your phone. This is a great feature for selfies and taking spontaneous pictures. The Lumix G80 has a flip-out screen so you can see yourself when taking selfies or recording vlogs. It’s also handy when you’re shooting from awkward angles and can’t get your eye to the viewfinder. Update: I left my camera outside all night in the rain! I was devastated when I woke up in the morning and found it dripping wet. But I popped it on the radiator for a few hours and it’s absolutely fine. Obviously, I don’t recommend leaving it out in the rain all night but it’s good to know that it’s so durable! This is another feature that probably won’t sell the camera to you but is something worth noting if you’re going to be using this camera a lot – which you will be! It has a magnesium alloy front frame so it’s sturdy and robust and can handle a few bumps and splashes. 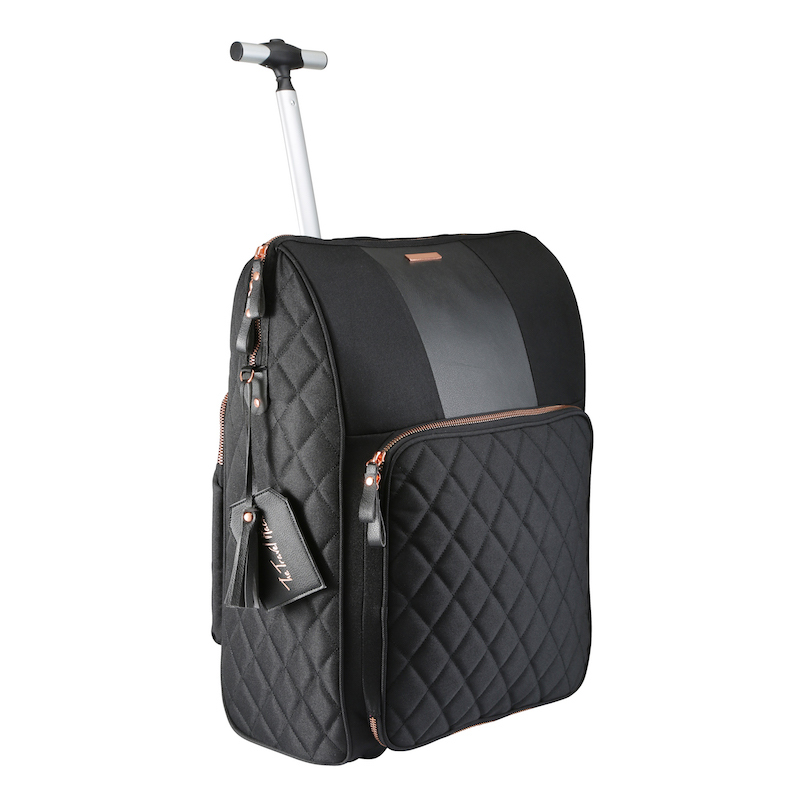 This is great for travelling but just generally great for everyday use too. Like I said above, the best camera you can have is the one you’ve got with you – but if you’re precious about your camera and you’re nervous about taking it anywhere with you in case you break it then it’s no use to anyone. You really want a camera you can use on the beach, in dirty situations, in a little bit of rain and around the grubby fingers of children! I’ve also really enjoyed using the video mode on the Lumix G80. I made a video from my weekend in Aberdaron using the camera. I haven’t edited it yet but I’ll share it here and on Facebook as soon as I do so you can see what the video quality is like. Disclaimer: I was sent this camera to review by Lumix but all thoughts, opinions and photos are my own. As always, I would never recommend a product I didn’t 100% love and I 100% love this camera! 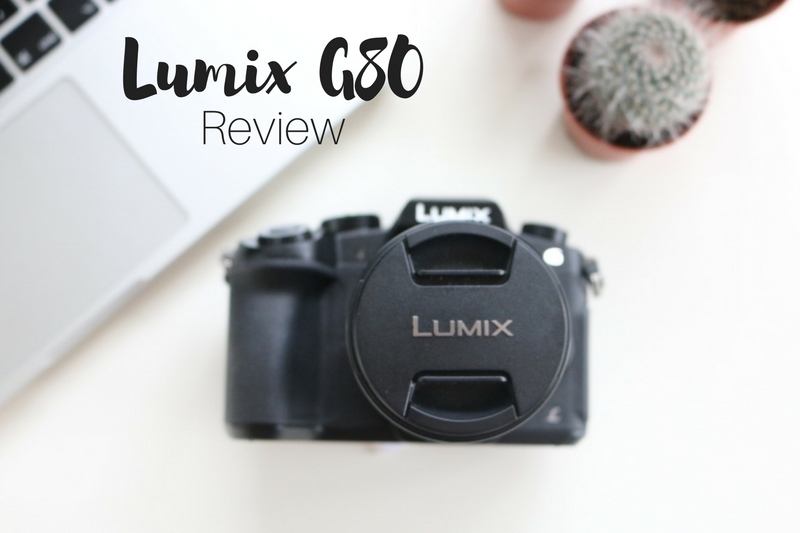 Find out more about the Lumix G80 here. My friend Beverley from Pack your Passport was also sent the Lumix GX80 which is similar but smaller and has more of a vintage look. You can read her Lumix GX80 review here. This does look really interesting! I am also guilty of sometimes leaving my DSLR camera behind simply because I can’t be bothered to lug it & the additional lenses I might need, around with me! The DSLR is great for ‘studio’ based stock photography & photographing venue set ups, but maybe something like this Lumix would be much easier for family stuff!! The Post Focus setting isn’t quite as you describe it. It’s not the same shot. It’s actually very similar to the 4k Photo setting. What the camera does in post focus mode is to shoot about a second of video, constantly changing the focus as it shoots. When you touch the screen to select the focus point, the camera finds the frame of video where that bit is in focus. Because there’s about a second of video, anything moving in the picture will change position between different frames. Look at your husband’s head in your pictures. In the ‘in focus’ picture he’s well below the water; in the other his head breaks into the water. Same thing applies to the stick of gorse in the foreground – in one image it’s within the hedge, in the other it sticks out over the water. They’re two different pictures. Sorry to go all techy – just thought I’d point out that the Post Focus isn’t quite as fantastic as you describe. Close, and probably close enough for most people. Apart from me waffling on, this is a really good review. I like that you’ve talked about actually using the camera, not just some abstract appreciation of it’s features. Thanks!